Slow down. Let the Dolphin choose if they want to come to you. The sea kayak offers a fantastic platform, from which to see seabirds and seals, and even whales and dolphins in their natural habitat. To experience the nature of the sea at such close quarters is an amazing privilege, but like all privileges, it carries a responsibility. In our enthusiasm to see wildlife, we can accidentally cause disturbance without realising it. A good way to minimise our impact on coastal and marine life is to learn more about it. Knowing the breeding season of birds and seals, for instance, will help us to avoid getting too close when they are most sensitive to our presence. We follow the British Canoeing national code of practice; “You, Your Canoe and the Marine Environment” written in conjunction with the RSPB. A good principle is: If the wildlife appears to be agitated, then you are to close. Wing flapping in situ, head craning, head turning, and head bobbing. Move further out if you see these signs to avoid causing a mass exodus of birds. There are now very few Puffins left on Jersey. Cliff-nesting seabirds such as Guillemots, Razorbills and Kittiwakes are most vulnerable when the adults are hatching the eggs and foster their young chicks. If they are suddenly scared off the ledges they may lose their young, which may fall or be taken by predators. 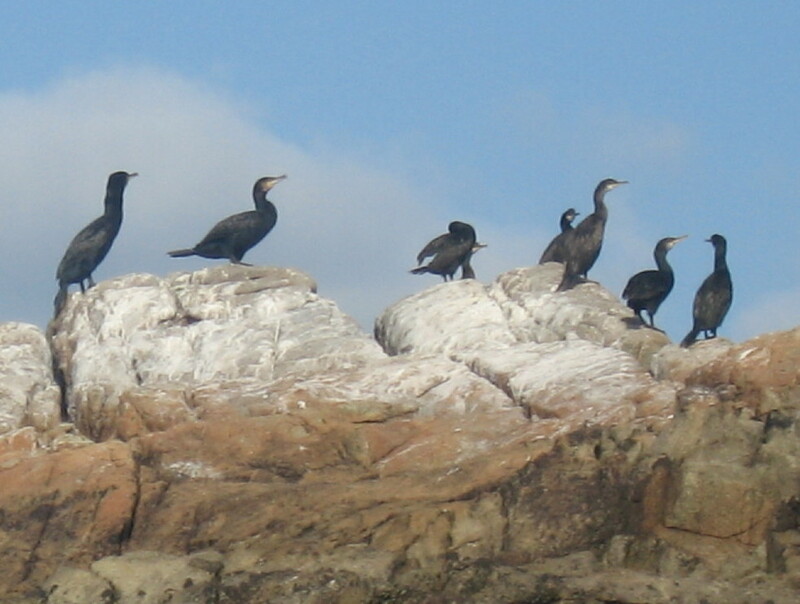 The sea bird breeding season in Jersey is between 1st February to 15th July when seabirds come ashore to nest. Sensitive sites include steep cliffs and caves. The vulnerable time is mid-May to early July. Move by quietly and steadily so as not to panic the birds. Puffins: Puffin numbers have fallen sharply on Jersey. Rats and land-based disturbance seem to be the principle cause coupled with changes in the food supply. A voluntary stay clear zone is in operation from Greve de Lecq to Plemont during the Puffin breeding season. However, fishing craft and local shotgun clubs are allowed to continue to use the area so disturbance is continuing. 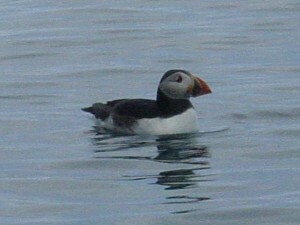 In 2012 just 6 Puffin nested on Jersey. However, in 2018 12 were spotted so it’s not all bad news! Sea bird protection zone Plemont to Greve de Lecq. Terns: On the South coast of Jersey the rocks between Green Island and Le Hocq often have Terns nesting and also at the large rock to the north of Icho tower. Try to stay clear of these. Avoid climbing onto the rocks at Icho Tower during the nesting season unless you want to be attacked by gulls! Shingle shores: Terns, Ringed Plovers and Oyster Catchers all nest on shingle beaches. Care should be taken not to disturb nesting birds on these sites between early May and early July. The eggs and chicks are very well camouflaged against the shingle and are easily trodden underfoot. Avoid the West end of the shingle beach at Les Écréhou (by the flag pole on Blanche Ille) due to the Tern nests. Seabird Protection Zone Les Ecrehous. Sand dunes: Take care during stops not to damage vegetation, which is important for stabilizing dunes and helping them grow. Avoid open fires, which damage the dry vegetation. Avoid disturbance by paddling quietly by and staying clear. Avoid beaches with small pups on them, as a sudden disturbance can lead to pups being squashed in the panic, or separated from their parents who may be unable to find them afterwards. Seals lying on rocks are resting. If disturbed their rush to enter the water can result in injury and in the case of pregnant seals, the loss of the pup. 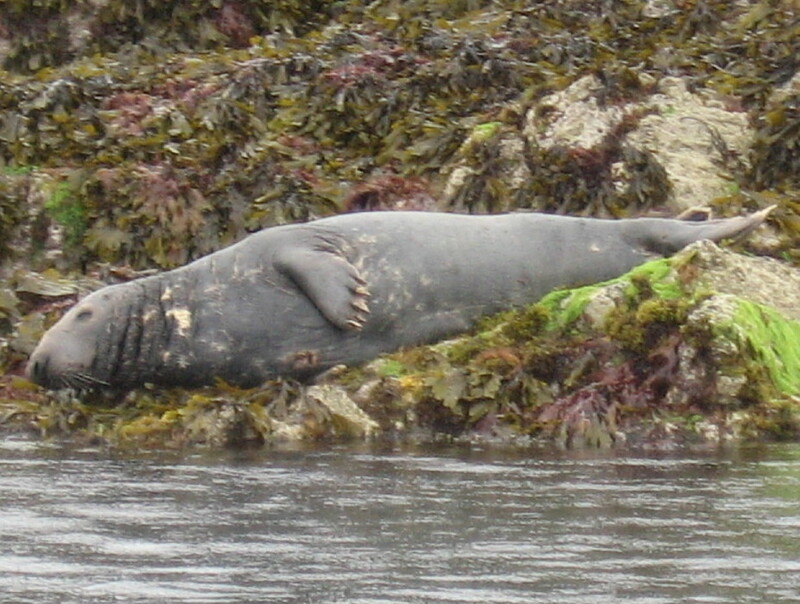 Stay well clear and remember seals can respond differently to the type of craft observing them. Never feed seals. 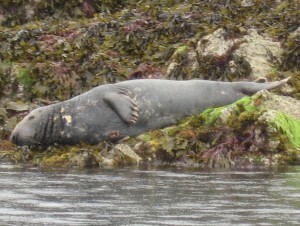 In the past, some boat owners have fed Seals at Les Écréhou and, as a result, some seals often turn up in the main mooring lagoon. There are small colonies at Les Écréhou around la Sabloniére rocks, Les Minquiers and near La Conchiére off the south-east coast of Jersey. Take care when sea kayaking in this area to reduce disturbance. ● Be aware of the breeding seasons of birds and seals. ● Try to avoid panicking breeding seabirds into flight. ● Stay 50m out from seabird breeding colonies. ● When leading a group of paddlers, brief your group on the procedures you plan to use to avoid disturbance. ● Think about your actions on land as well as on the sea. ● Be aware of puffin burrows, and avoid getting too close or walking over them. ● Never land on a beach with a colony of breeding seals, except in an emergency. ● On sand dunes always look and listen for birds and carry kayaks rather than dragging them. ● Consider your possible impact on wildlife when camping. ● Be careful in your toilet hygiene. Do not urinate within 30 metres of fresh water, and dig a hole to bury your excrement. Burn toilet paper, if safe to do so. ● Do not leave behind any food scraps, as these attract scavenging animals and birds. ● Do not burn cans or plastic. Take out all your litter for proper disposal. ● Become involved in Adopt-a-Beach schemes and Beachwatch litter picking events. Contact the Marine Conservation Society for details. ● Try to leave the countryside tidier than you found it. ● Enjoy the outdoor environment, and ensure that your actions do not detract from the enjoyment of those who follow you. For a more detailed guide that includes observing marine mammals around Jersey and Dolphin identification in Jersey click here. 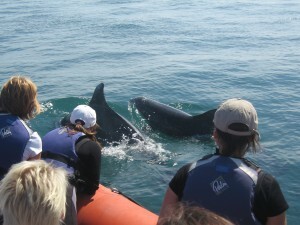 Jersey Marine and Coastal Wildlife Watching Code. Good practice for sea kayakers and other water users around Jersey. The code also gives wildlife and marine life information. British Canoeing has developed an excellent national code of conduct for kayakers “You, Your Canoe and the Marine Environment” in conjunction with the RSPB. British Canoeing Environment & Sustainability module. As part of our staff training, all our key staff have attended WildLife Safe (WiSe) courses. Jersey Kayak Adventures achieved the Green Tourism GOLD award.